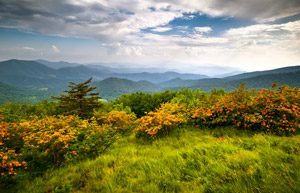 Our site features all of the listings of North Carolina mountain homes including listings in the High Country and listings in the western areas of the state close to Asheville. This makes our sites the most comprehensive and best place to search online. Our agents are ready to assist you with all of your real estate needs. Whether you are a first time home buyer, or looking for a second home in the mountains to retreat to with your loved ones, we would love to show you some exceptional properties, like those found in the resort area of Sugar Mountain. Surrounded by the Appalachian Mountains and on the eastern end of Avery County is where the community of Sugar mountain is nestled. Most people are familiar with looking up at the tall mountain along Tynecastle Highway when traveling through the area and seeing the ski runs that are carved out of the mountainside. The North Carolina mountain homes for sale in Sugar Mountain feature panoramic views and beautiful details. The mountain is home to many native wildlife and plant life creating some stunning scenes. Sugar mountain is a great place for everyone in the family offering lots of activities. Sugar mountain has a affordable and accessible golf course which is open a good part of the year for all to enjoy. October Fest is a 2 day community festival that is great for all ages, that brings many visitors and part time residents back to the mountain. Another one of Sugar’s events is Sugar Fest which is in the middle of December with 3 days full of excitement and fun things to do. Something that Sugar Mountain is known for is having great skiing and snowboarding on the ski slope that can be fun for everyone. Those are only some of the things that you can do on sugar Mountain, but you can also go to places near by that open up even more opportunities like in Banner Elk, Boone, or Blowing Rock. Sugar Mountain is a great place to have a North Carolina mountain home; an ideal location to make mountain memories.